On Wednesday afternoon, Bellator MMA announced featherweight champ Pat Curran (Pictured) will put his 145-pound crown on the line against Daniel Straus on April 4th. Straus will be riding a five-fight winning streak into the rematch. 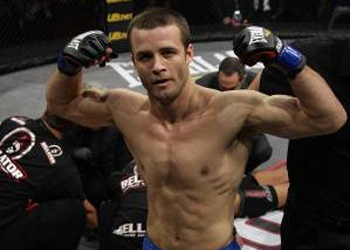 He earned his shot at the throne by taking Bellator’s Season 6 Featherweight Tournament.